The 8th Durban FilmMart (DFM), Africa’s premier film finance and co-production forum, has announced an exciting lineup of speakers for this year’s edition, which takes place at the Tsogo Sun Elangeni Hotel from July 14 to 17 during the Durban International Film Festival. A diverse and insightful industry programme has been scheduled for this year’s DFM, which aims to stimulate collaboration between African filmmakers and international producers and financiers. Key speakers include film distributor Tilane Jones, audience development specialist Moikgantsi Kgama, film executive Charles Hopkins, writer-director Shmerah Passchier, virtual reality expert Ingrid Kopp, distributor Nicole Brooks, editor-director Karen Harley, editor-producer Sabrina S Gordon, screenwriter-producer Mila Aung-Thwin, screenwriter Busisiwe Ntintili, filmmaker, playwright, poet and activist Tsitsi Dangarembga, producer-director Stefano Tealdi and producer, director and writer Alby James. Tilane Jones is the executive director of ARRAY Now, a film distribution collaborative focused on women filmmakers and filmmakers of colour, will be speaking about ARRAY Now and the role it plays in supporting “Women Led Film”. Since 2011, Array has acquired key titles, including Ava DuVernay’s Middle of Nowhere, Andrew Dosunmu’s Restless City and Haile Gerima’s Ashes and Embers. Jones’ production credits include DuVernay’s Selma and the Oscar-nominated Netflix documentary The 13th, as well as a range of high profile fashion and beauty films and television productions. 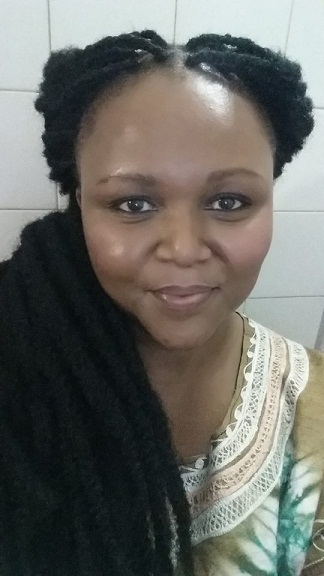 Moikgantsi Kgama is an audience development specialist whose credits include I Will Follow, Killer Sheep, Lumumba and the Academy Award-nominated Trouble the Water. Kgama is also the founder of the Harlem-based ImageNation Cinema Foundation, which presents progressive media made by people of colour. Nicole Brooks, vice president of CaribbeanTales Worldwide Distribution facilitates the CaribbeanTales Market Incubator Programme. Brooks will be presenting “CineFAM - Africa, an Accelerator programme for African women filmmakers”. Brooks has spent more than 15 years developing narratives that illuminate the peoples of the African Diaspora. With substantial experience as a filmmaker, director, performer, curator and teacher, Brooks also produces content for film, television and the performing arts. Charles Hopkins is an executive at Shoreline Entertainment, an independent sales and production company based in Los Angeles who will lead a masterclass called Ten questions to ask yourself before making your pitch. As a Shoreline Executive, Hopkins has overseen acquisitions of projects in development, attended various festivals and markets for acquisitions and sales, and has negotiated a variety of deals with producers, talent, and distributors. Ingrid Kopp and Shmerah Passchier will lead a masterclass and workshop around Virtual Reality: What’s Happening in Africa and What Can We Make Happen? Kopp is a co-founder of Electric South, a non-profit initiative that aims to develop virtual reality and mobile storytelling projects across Africa. She is also a senior consultant in the Interactive Department at the Tribeca Film Institute where she works at the intersection of storytelling, technology, design and social change. Shmerah Passchier has worked in the film and television industry as a writer, director and producer. She has travelled extensively around Africa, directing magazine, reality shows and documentaries for the SABC and DSTV. Editor and director Karen Harley leads a panel discussion entitled Editors Suite: Effective Editing together with Sabrina S Gordon a producer/editor and documentary filmmaker from NYC. Harley co-directed Waste Land, the feature-length documentary about artist Vik Muniz’s work, which won the audience award at Sundance, Berlin and Durban, and was nominated for best documentary at the Oscars in 2011. Sabrina S. Gordon’s editing debut won an Emmy for WGBH’s Greater Boston Arts series and she has continued to distinguish herself on award-winning films, web and television programmes. She has many awards and credits to her name, and also produces media for nonprofit and grassroots organizations, as well as engagement campaigns that leverage documentaries for tools for social change. She is the Co-Chair of the Black Documentary Collective and serves on many media panels and juries. Mila Aung-Thwin, co-founder of Montreal's EyeSteelFilm, who is a writer, director, producer and editor, will participate in a panel discussion – Making Socially Impactful Documentaries. Aung-Thwin has produced more than 25 documentary features, including Up the Yangtze, Forest of the Dancing Spirits and the Emmy award-winning Last Train Home. He has served as president of Montreal's International Documentary Festival, as well as a juror for the International Emmy Awards, the New Zealand Film Awards and the Sundance Film Festival. The Durban Talents programme presents South African Busisiwe Ntintili together with Zimbabwean Tsitsi Dangarembga, who will appear on a panel From Novel to Script. Ntintili has had extensive experience as a writer for radio, film and television, as well as writing the screenplay for the local smash hit, Happiness is a Four Letter Word. Dangarembga is a filmmaker, playwright, poet and activist who has produced several documentaries and has credits on most of Zimbabwe’s feature film classics, including Everyone’s Child, which she co-wrote and directed. As part of a collaboration between DFM and Produire au Sud, Nantes, Stefano Tealdi, a director and producer of film and television who lives and works in Italy will be conducting a pitching workshop for DFM Official fiction projects and DFM’s Jumpstart projects which aims to support emerging filmmakers through exposing them to the pitching process. Tealdi has directed numerous documentaries as well as the series Food Markets – In the Belly of the City. Recent works produced include Mostar United, Vinylmania, Char, and No Man’s Island. He has directed all 17 editions of the annual Italian workshop Documentary in Europe and has chaired the European Documentary Network. Tealdi tutors film development and production, as well as film pitching for many of the world’s leading film events. From the UK comes Alby James, who will present a Talents Durban Masterclass entitled Interpreting the Script for the Screen. James has been working as a producer, director and writer in the field of drama for nearly 40 years in film, television, radio, theatre and opera and as an educator of creative skills and professional practice with writers, producers, directors and actors. He is leader of a new short course for directors at the National Film & Television School in London to increase the numbers of Black and Asian people, women and those with disabilities in the industry. The 8th Durban FilmMart takes place in Durban, at the Tsogo Sun Elangeni from July 13 to 17 2017, during the 38th edition of the Durban International Film Festival (July 13 to 23, 2017).